Boatshed London are delighted to bring to market this Fairline Phantom 38. There is evidence of its good history throughout with a very clean and well maintained engine room and new upholstery inside and out. The 306HP TAMD61-A's have been recently serviced. Both cabins have good space and served by their own heads and shower. The 4m+ beam means the boat feels much bigger than its 41ft overall length. The interior is starting to show its age and the next owner could choose to spend on modernising it. The heart of this boat is good though with reliable engines and it has recently been rewired. Currently moored in South Dock Marina on a leisure mooring, this boat could continue to be used as a London pied-a-terre. 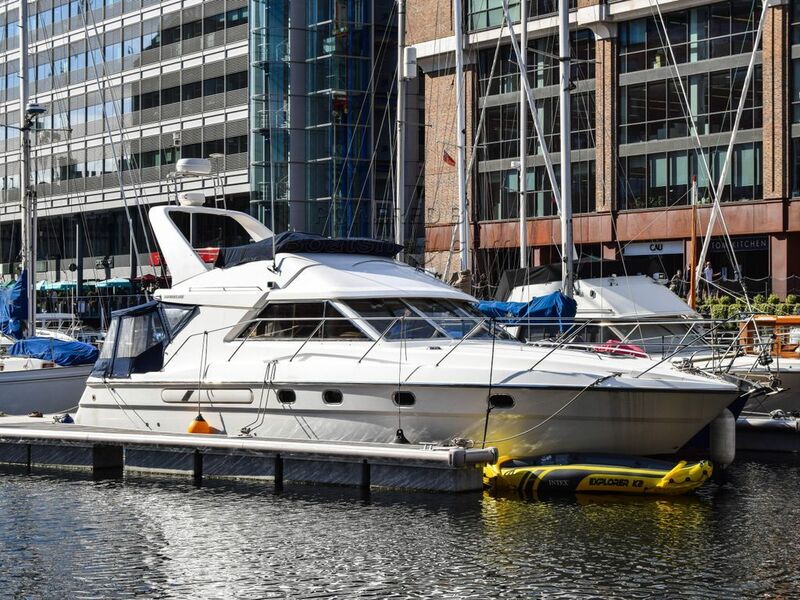 This Fairline Phantom 38 has been personally photographed and viewed by Angus Rose of Boatshed London. Click here for contact details. The leisure mooring is charged at £4,930 per annum if paid upfront. What are the mooring charges on this boat please?